April 12, 2012, 1:15 p.m. The search giant’s head of news products thinks we need to rethink how the news is architected and how information gets produced. By Richard Gingras April 12, 2012, 1:15 p.m.
Editor’s note: At TechRaking 2012 today — a conference at the Googleplex in Mountain View, sponsored by Google and the Center for Investigative Reporting — a group of journalism doers and thinkers will be talking about how news and technology can evolve together. Opening the gathering was Google’s head of news products, Richard Gingras, a man with longstanding experience in the space where news and tech meet, who provoked discussion by raising eight areas of inquiry that might prove fruitful for the day. Here are those eight, in the form of his prepared remarks. These are extraordinary times. These are exciting times. There has been tremendous disruption, but let’s consider the huge positives that underly that disruption. There are no longer the same barriers to publishing: everyone has a printing press, and there are no gatekeepers. There are new ways for people to both consume and share news. There are powerful new technologies that can change what journalists do and how they do it. In my view, the future of journalism can and will be better than its past. While technology holds great promise, it’s important to recognize that while technology has value it has no “values.” Technology, in and of itself, is not the solution. Yes, it can provide the means for solutions, but it is up to us to determine how to make it so. We need to rethink every facet of the journalism model in light of the dramatic changes in the architecture of the news ecosystem. I’m not suggesting that everything must change, but a comprehensive rethinking is a necessary and valuable intellectual process. I would therefore like to start out today by proposing several themes and questions to guide us at TechRaking and more broadly. The architecture of news content has barely changed. It continues to mirror the edition-oriented nature of the prior media forms — streams of articles that appear one day and drop into the archive the next. Can we better explore and adopt new approaches that, like Google’s earlier experiments with “the living story,” maintain the full expression of a reporter’s efforts in one place behind a persistent URL? As McLuhan said, “Every new medium begins as a container for the old.” While early radio news began with readings from the newspaper, that model was quickly superseded by a shorter crisper style and form appropriate to the radio medium. In an evolving culture dominated by updates, posts, and bullet points, are there approaches to conveying in-depth journalism that extend beyond 5,000-10,000 word articles? We now have, effectively, no limit on publishing capacity and no technical barriers to realtime publishing. Since our medium can accommodate the full expression of the reporter’s work, is there not significant value in developing new tools to support a reporter’s day-to-day efforts? Given current and future advances in how news is gathered, organized and presented, that also suggests a rethinking of editorial roles and organizational workflow? Are there new approaches that let news organizations leverage the assistance of the trusted crowd (e.g., Josh Marshall)? Might we benefit from systems that allow smaller news organizations to work together? One major technological impact is the opportunity to use computer science to assist with reporting efforts, to parse massive data sets, to monitor public sources of data. Can investigative journalism aggressively leverage computational journalism to not only help with stories but eventually become persistent, automated investigative reports? Search continues to be a central source of news discovery, and social sources are quickly becoming important drivers of incoming traffic to news. Are there better ways to use search and social to not only drive audience engagement but inform them? Can we learn from the approach of sites like ProPublica that create a series of social posts, each disclosing an additional nugget of journalistic knowledge and wisdom? Four years ago, many news sites saw half their traffic come to the homepage. Today, due to continued growth in traffic from search and social, homepage traffic is typically 25 percent of inbound audience. That means 75 percent of inbound traffic is going directly to story pages. How do changes in audience flows impact site design? Indeed, how do they cause reconsideration of the very definition of a website? Should we not flip the model and put dramatically more focus on the story page rather than the home page? Or, for that matter, that corpus of content and media we call a “story”? The pace of technological change will not abate. If anything, it will continue to increase. To think of this as a period of transition from one state to another is unwise. This might not be easy to address but it needs to be addressed. How do we staff news organizations with the appropriate kinds of resources and the appropriate mindset such that constant innovation is imbued into an organization’s DNA and into the role of every participant? With great technological change comes great opportunity, and with great opportunity comes greater responsibility. Our society’s need for credible journalistic knowledge and wisdom has never been greater. While the evolution of the web has been primarily beneficial, it also raises the bar. Among its many powers, the Internet has the ability to provide support for any opinion, belief or fear and give it greater volume. Sadly, political entities, interest groups, and media companies appear to know all too well that affirmation often sells better than information. The future of journalism can and, I believe, will be better than its past, but this will only be the case to the extent that all of us work to make it so. POSTED April 12, 2012, 1:15 p.m.
Gingras, Richard. "Google’s Richard Gingras: 8 questions that will help define the future of journalism." Nieman Journalism Lab. Nieman Foundation for Journalism at Harvard, 12 Apr. 2012. Web. 23 Apr. 2019. Gingras, Richard. 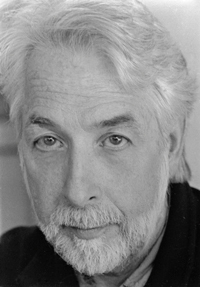 "Google’s Richard Gingras: 8 questions that will help define the future of journalism." Nieman Journalism Lab. Last modified April 12, 2012. Accessed April 23, 2019. https://www.niemanlab.org/2012/04/googles-richard-gingras-8-themes-that-will-help-define-the-future-of-journalism/.